Have you ever been on a long hike that involves a lot of elevation gain? The kind of hike where you get to a ridge, and you know you have a long way yet to go, but you want to stop and grab a drink of water and take stock of where you’ve been before setting onward? I love those moments of stopping, looking around, absorbing the beauty of where I am and who I’m with and marveling at how far we’ve come. This feels like one of those moments to me. We’ve had a big year, and we’ve got another big year ahead of us. But before this next transition point comes and goes, I wanted to pause and take stock of where we’ve been. Like a long hike, we’re standing at a ridge, and I want to gather everyone together and capture this moment. If this were an actual ridge, I’d be pulling my camera out of a sweat and rain soaked ziplock bag and taking a picture of everyone. Today I’ll just tell the story. In October of 2017, Denise and I felt like we were ready as a family to lean into the desire we’d been feeling to connect our love of the church with our love of the people in our lives. In order to help us with that, we put together a discernment team of 12 people. And in order to paint with some fun colors, and hear from voices different than our own, of those 12 there were three who were experiencing homelessness, two who are teenagers, and one who is not connected to a faith community. So very cool. This discernment team met for the first time in February, and the commitment was to meet once a month for a year. I wanted us to be in physical spaces that felt more natural and comfortable to the people in our lives, so we met in a school, in a homeless shelter, in a hospital. In June I wanted us to feel both inside a church and yet feel like an outsider, so we met in a church that nobody except me had been inside before: Saint Sophia’s Greek Orthodox Church (thanks Father Michael!). 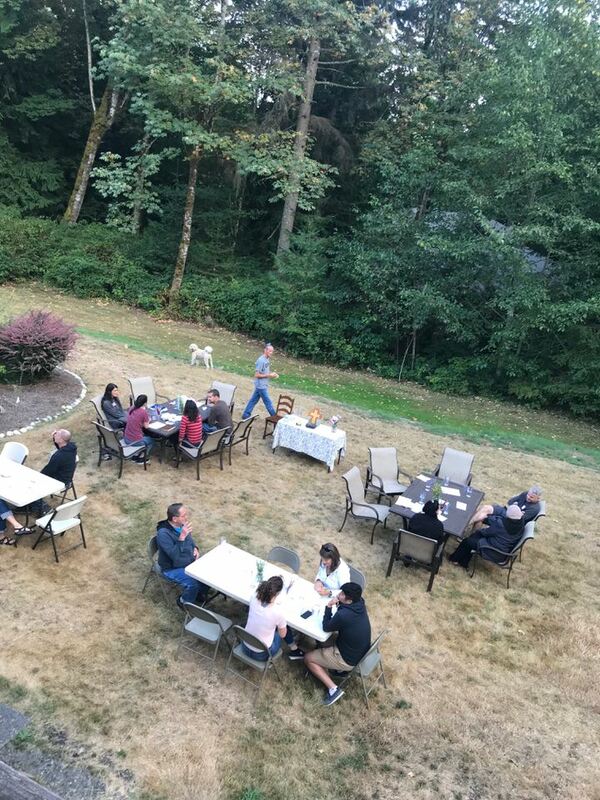 I asked the question, “Who will be the guides that will show us what the Kingdom of God is like?” The discernment team responded by asking me who I was already connecting with, and start there. That gave us the clarity to start with the Youth, the Poor and the Disabled. I observed that our method of discernment, which is the centuries old Ignatian style “conversation and contemplation” is fantastic but is also alienating to the youth, my friends at the Lighthouse, and the disabled people I knew. We need to embody what we want to discern, so we decided to put together three discernment worship services. In August we met at our house, and had a service that was lead by the youth. 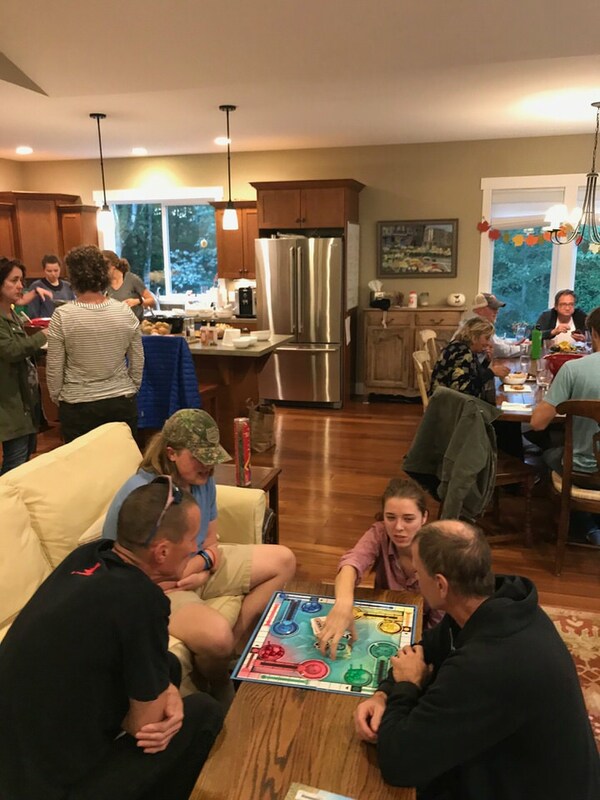 In September the service had to be cancelled at the last minute due to the flu bug hitting the Lighthouse Mission pretty hard, so once everyone got to feeling better we had a game night instead. Coming up the last weekend of October we’ve got our third discernment worship service, and I’m over-the-moon excited about it. We’ll be exploring forgiveness, and reading the story of the reckless, runaway son (you might know it as the prodigal son, but most people don’t know what a prodigal is). It’s a little different, reading this story alongside people who have actually run away and lost everything, and then praying about forgiveness. Then in the first week of November we’ll have our last discernment team meeting as a gathering of 12. We’ll get together to pray, to reflect, to eat and laugh and bring this spectacular season to a transition. I am so very grateful for the time, energy, attention and are that this discernment team has shown me this year. Then it’ll be time for this transition to the next season of this New Worshipping Community, which is why I wanted to pause today to take stock of where we’ve been. Cultivating a New Worshipping Community whose Mission is discerned and guided by the Youth, the Poor and the Disabled. You see, we still don’t know what the Mission of this New Worshipping Community is, and we probably won’t know for awhile. The rate of coherence for this community is going to be incredibly slow. And besides, these three groups of people aren’t the Mission themselves. Rather, the Mission will be discerned as we worship Jesus together, as we grow in friendship together, and we discover how we might join the Holy Spirit in what’s already happening around us. Thank you for being a part of this journey with us, wherever you are, and in whatever capacity you’ve been a part. Soon we’ll be putting the cameras back in the sweat and rain soaked ziplock bags, as it were, and moving onward. But just as we all huddle together to take a picture before that transition happens, I wanted to capture this moment on email together with you, and say thank you. Newer PostWhere we've been and where we're going!